Higurashi Chapter 5 Meakashi Now Available! 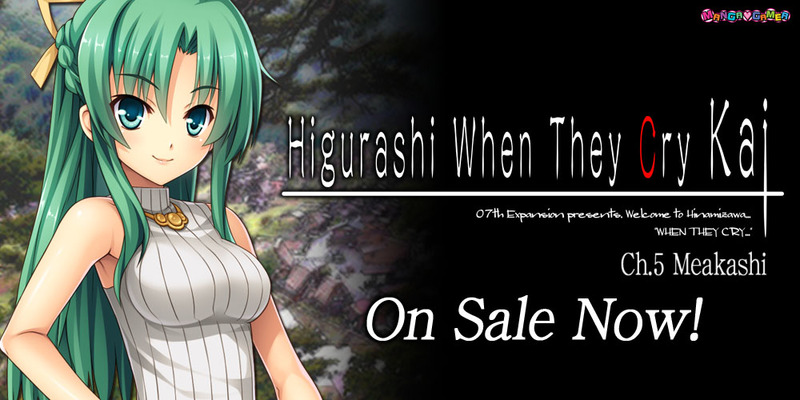 The fifth installment of the Higurashi series, Meakashi is now on sale! Meakashi will also be available on Steam later today! « Ammolite’s Sweet Young Bride now available for pre-order! Just finished and loved it. Can’t wait for the remaining chapters. Hope the wait isn’t too long.